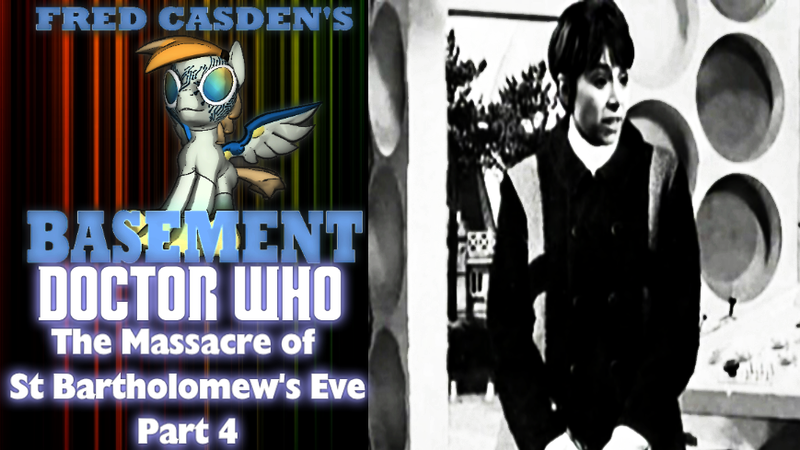 It's Monday October 2, 2017... And this week I am wrapping up my look at Doctor Who: The Massacre of St Bartholomew's Eve with Part 4: Bell of Doom... and episode that sees the debut of the next companion on the TARDIS: Dodo Chaplet! Dorothea 'Dodo' Chaplet debuts in this episode, played by Jackie Lane, has unsophsiticated, bright & happy personalty. The character's tenure isn't long however, and I'll try and play special attention to her in the coming weeks. Note: Her accent which was 'common' at the end of this episode was changed to 'BBC English' or 'Received Pronunciation' for some stupid reason... probably because RP is a sign of 'social prestige' in the UK... keep in mind, a lot of 'social prestige' lead to a lot of the BBC's stupider decisions over the past few years.